The Papo Brachiosaurus stands approximately 11.5 inches tall and measures approximately 16 inches head to tail tip. 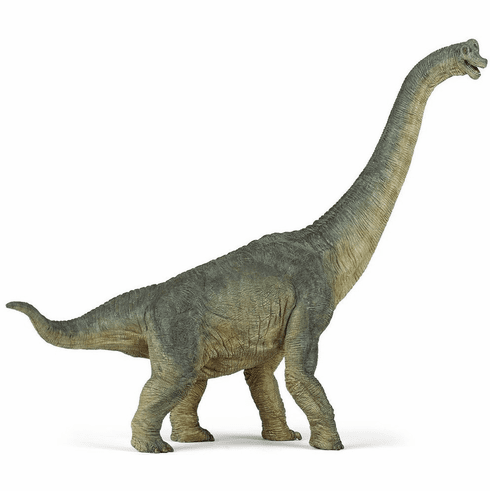 Brachiosaurus means "largest known dinosaur" and is correctly named as a Brachiosaurus could grow in size to 85 feet long and weigh up to 39 tons. Papo Brachiosaurus #55030 is part of the Dinosaur Series by Papo.